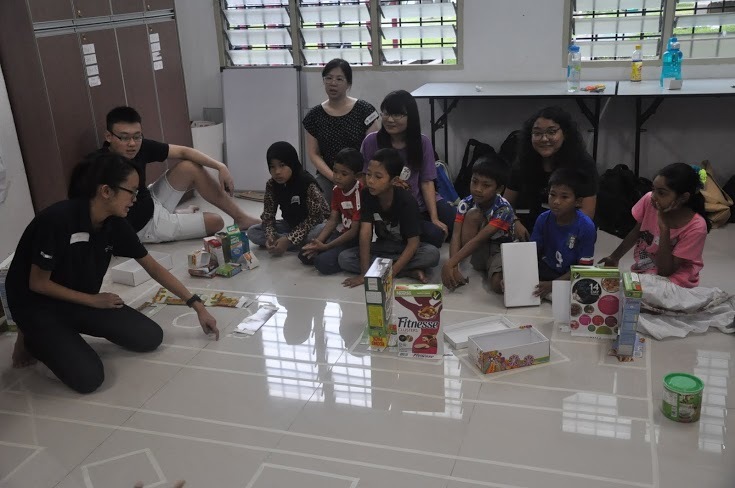 On the third engagement day, we introduced the simple concept of mapping to the children through a series of exercises and conducted our very first mapping activity with the aim to learn about finding healthy alternatives when going to their nearby food stalls. 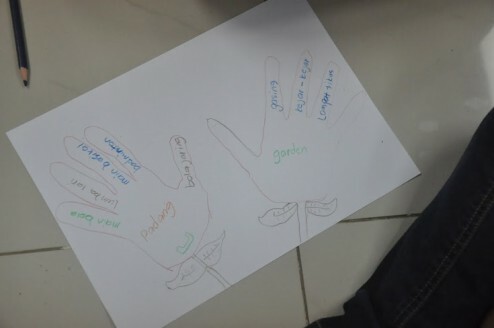 After a quick recap quiz of what we had learned from the previous weekend, we did a simple mapping game by asking the children to trace the outline of their hands and to write down their favorite activities on each of their fingers. We then asked the children to list out the places they play in the palm of the drawing of their hands. Based on these pieces of information we asked them to draw a line to connect the places they play with the activities. 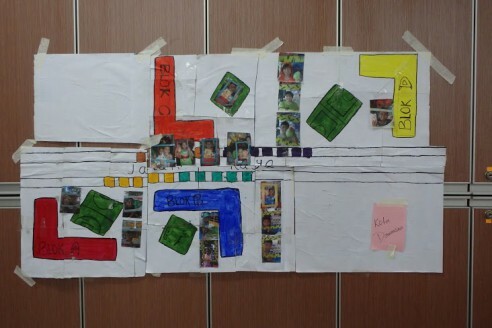 A simple ‘map’ was created that showed us and the children their common play area that can be used as reference for anyone unfamiliar to the housing area. 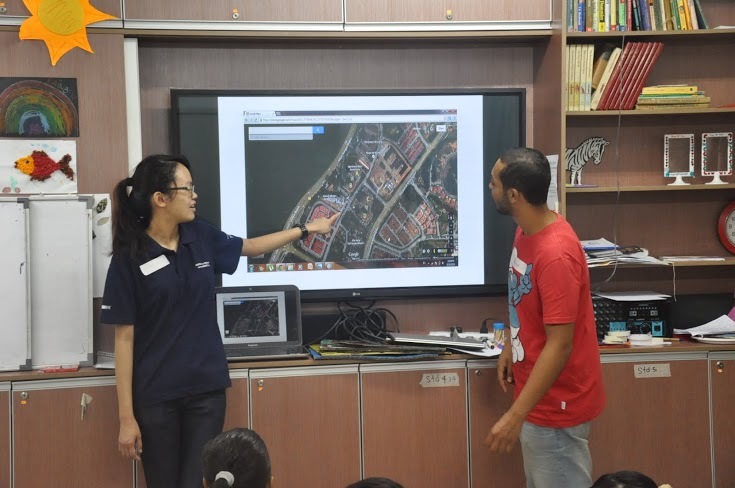 The next activity was a short lesson on maps. Ahmad from Egypt prepared slides of the map of the area surrounding PPR Kota Damansara and discussed what maps are used for. Besides giving us directions to places we want to go to, he highlighted that it also gives us information on all the things you can find in an area. We explained how maps are best created by those most familiar of an area to give us personal insights. 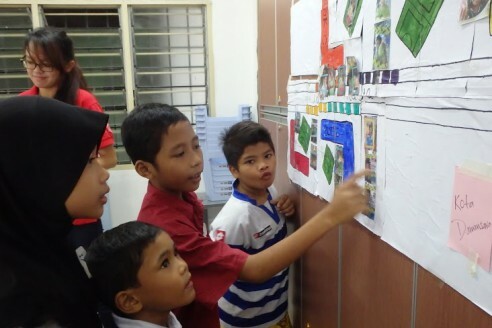 The next part of the lesson was to show the children an example of a spatial map. We asked them to identify the different blocks and shops in the area using recycled items such as cereal and tissue boxes. 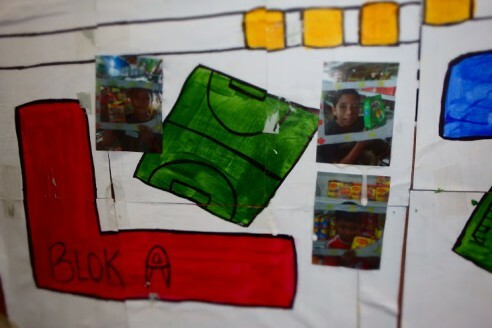 We then asked the children to pinpoint the shops they frequent to buy their snacks from. Based on their recommendations, we sent out groups of children to visit these particular shops with a ‘Ninja Quest’! The quest was a tool to make data collection fun. 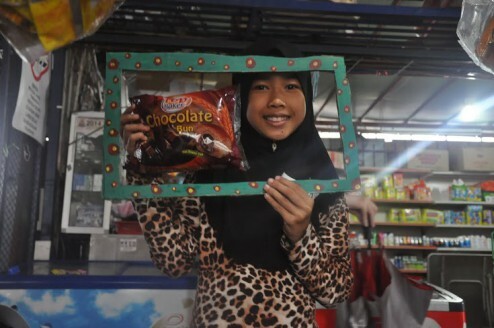 The children were asked to jot down and take pictures of their favorite snack and to then find a healthier alternative in the same shop. One of the checklists also included taking a group picture in front of their shop. 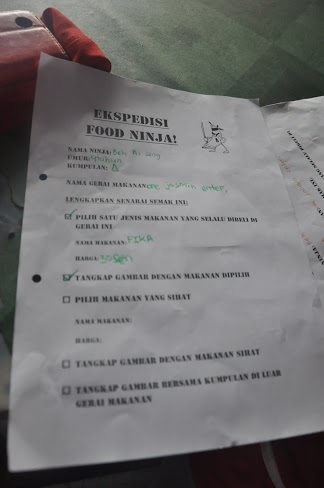 Each group set off with a camera and a set of frames to be used as a portable photo-booth, and each child was given their ‘Ninja Quest Checklist’. The constant rain that morning made the quest all the more challenging and exciting, luckily we had a good number of volunteers to make this possible. 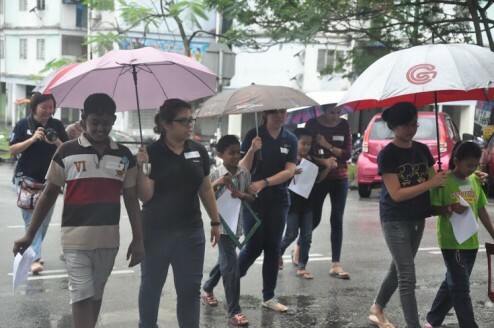 Two groups set out at a time with an adult and an umbrella per child while the rest of the groups stayed behind to have their healthy snack in the community hall. Much needed healthy snack after the ‘Ninja Quest’! After the quest the children gathered back in the community hall and waited for everyone to arrive. The children were then asked to list out on miniature flags what healthy alternative they had found and to explain their findings with the rest of the groups. 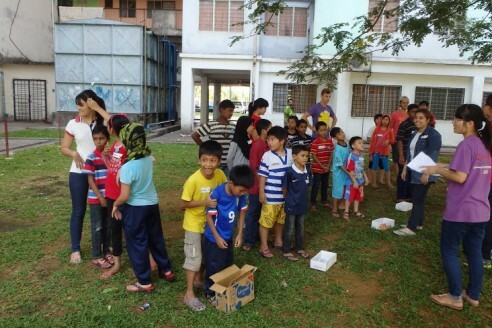 The first weekend of the Food Ninja program in PPR Kota Damansara took place on the 9th and 10th of August. 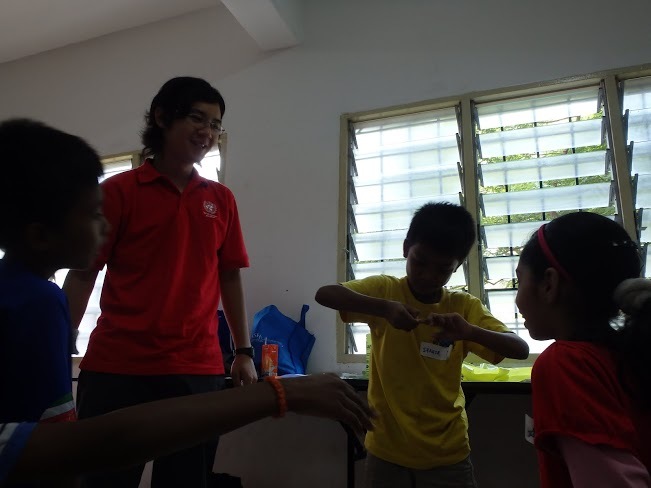 On Saturday, we had 30 children aged 8 – 12 join us for the first engagement activity. We anticipated a high number and prepared ourselves as best as we could for the crowd. Everything was done systematically, from entry to where they placed their shoes to registration. 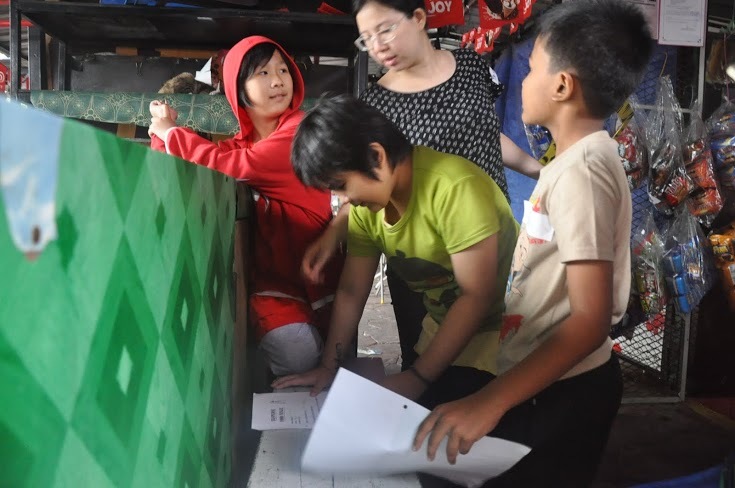 Based on our previous interactions we had learned that its best to have a system the children can follow for each and every engagement to keep things moving along easier. 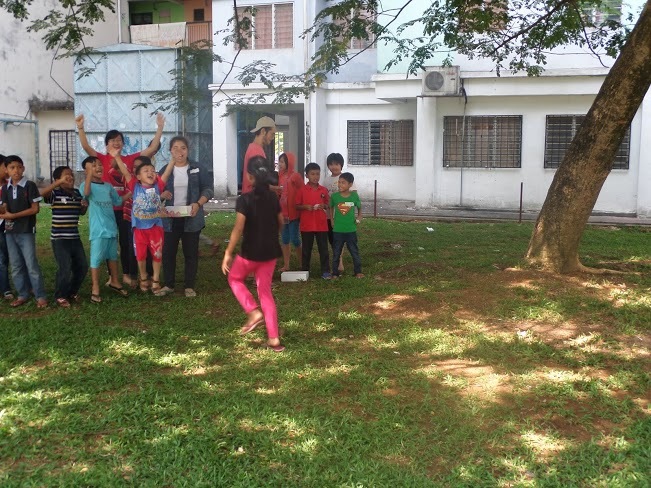 Once the children had settled down, we started with an ice breaker. We separated the children into groups of 10 and played the name circle game, a simple but fun way to quickly get to know each others names and faces. 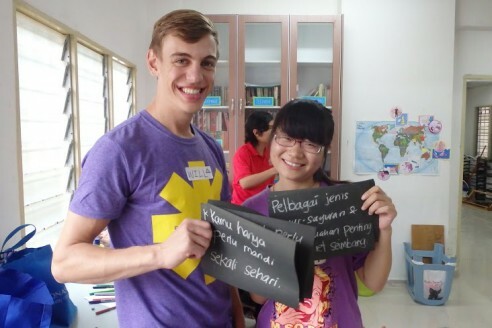 We had a much harder time remembering their names which goes to show how sharp young minds can be! The first food ninja activity of the day was ‘Around the World with Food’, to focus on carbohydrates and to introduce the children to the international interns. 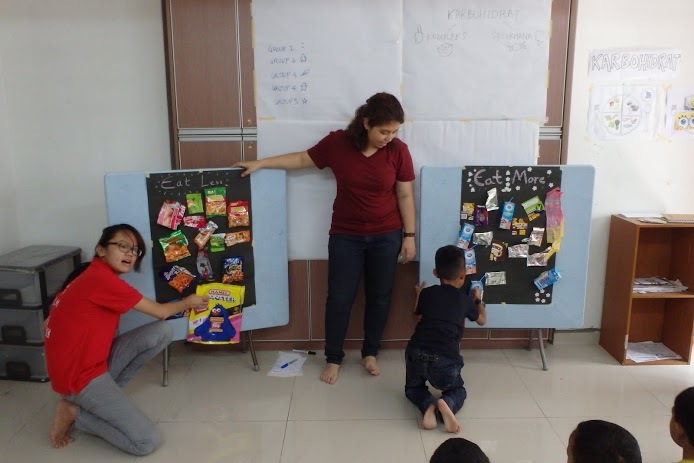 We wanted to emphasize foods that contain carbohydrate by talking about breakfast and foods we need to eat a lot of in order to have enough energy for the day. We played a short video that explained the difference between simple and complex carbohydrates and how complex carbohydrates gives you energy. 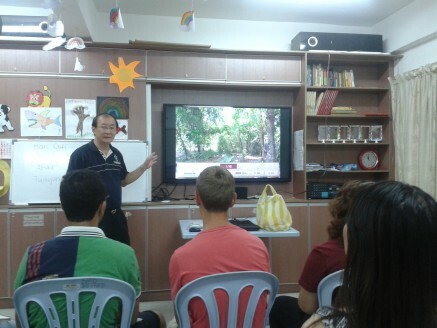 We started with a short presentation by each of the interns on their country and breakfast. 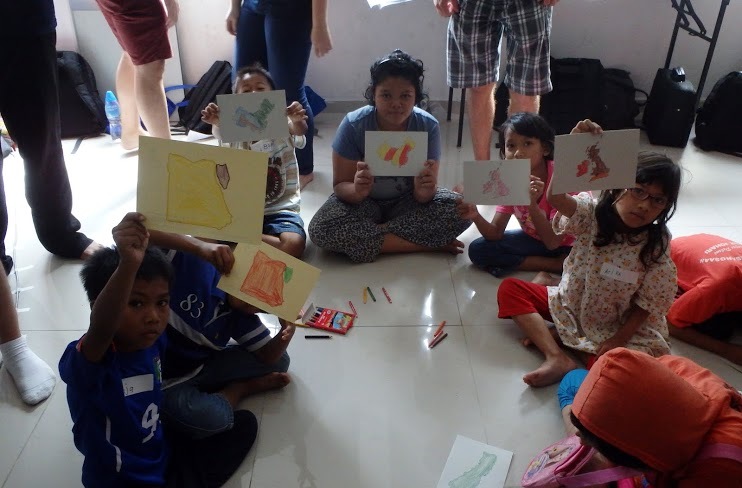 We decided to introduce ‘postcards’ as a teaching tool, on one side of the post card was a picture of one of the five different countries, on the other we left space for the children to write their name, age and to draw what they have for breakfast. We first got them to colour in the country side of the postcard and then to fill in the back of the postcard with help from the volunteers. 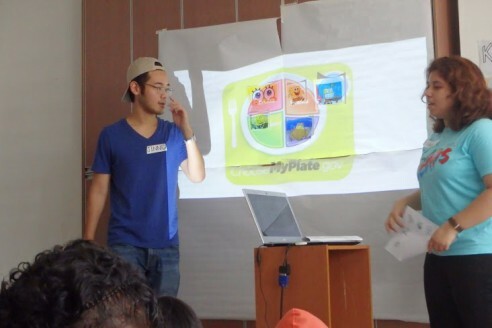 We also introduced the My Plate system, a children-friendly tool to talk about the different food groups and the portions needed on a daily basis and the different nutrients each food group provides. The children were first asked to color in different types of food to stick onto their very own My Plate and were then guided through what types of food fits into the different parts of the plate which includes a dairy section, fruit, vegetable, meat, nuts and beans and a grains section. Once they had completed their MyPlate we also gave a short introduction on the nutrients of different food groups using Sponge Bob cartoons to emphasize strong teeth in the dairy section and muscles for the meat and nuts section. 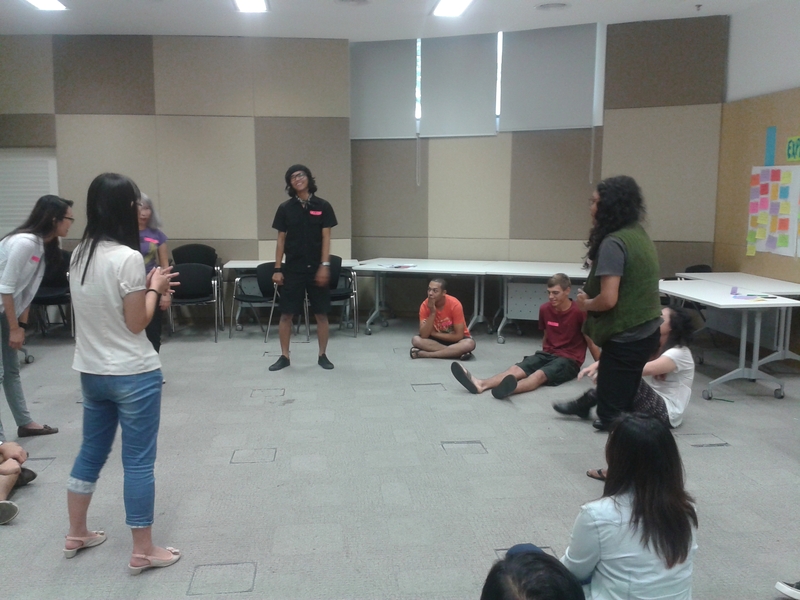 On the second engagement day we started in a similar way, ice breaker – this time with a ‘Who am I?’ game. We realised grouping was an essential process in conducting the program, ensuring we have groups with a balance in age and gender. And to an extent race, as it was one of our aims to promote toleration between different races. 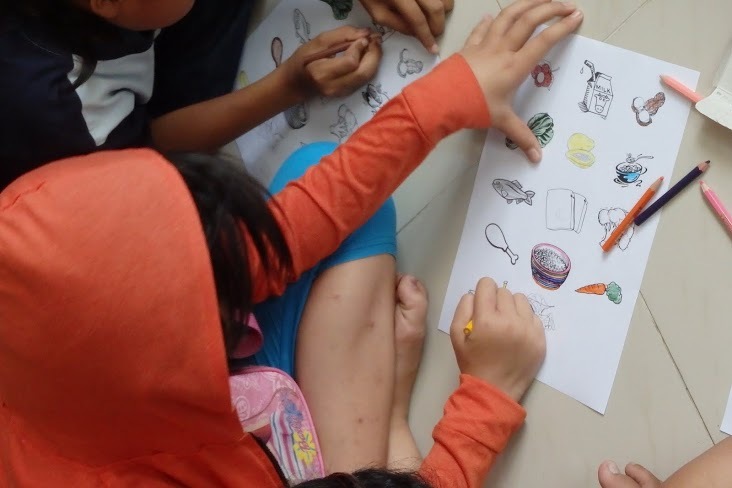 Each group was designated a food group and in each group the children were given a sticker of a food type which they had to guess by asking the rest of the group yes or no questions. 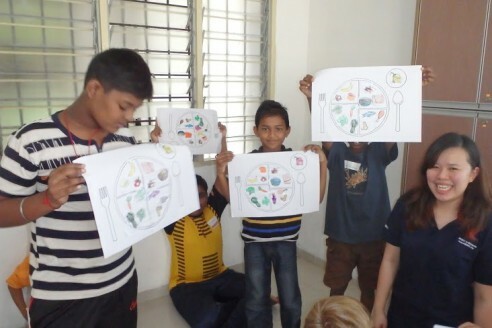 This was a fun way to learn about the variety found in the different food groups. The objective of engagement 2 was to teach the children about the types of food we need to eat more of and less of on a daily basis. 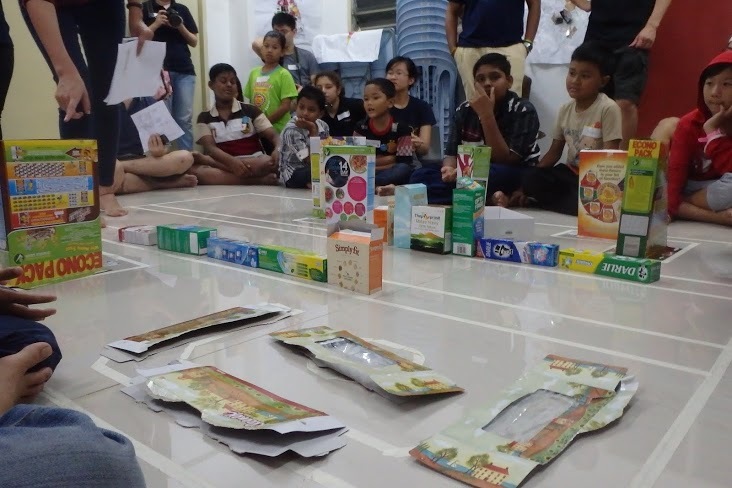 It was evident from the start of our engagements that the children had easy excess to unhealthy cheap junk food found in nearby stalls, we wanted to talk about to effects of eating such foods and to compare it to foods we should eat more of. We did a simple mapping exercise by getting the children to bring some food wrappers in for the second engagement day. 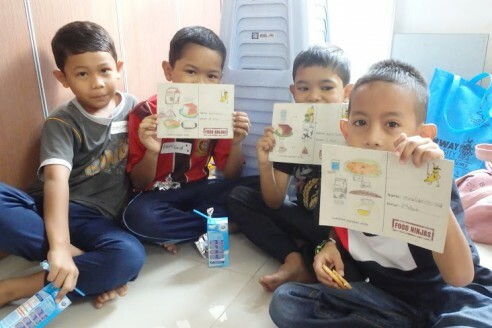 We started by doing a short presentation of the effects of eating foods that are healthy and unhealthy by getting Will and Ahmad to act out what happened when they ate such foods. Will exemplified strength and energy by running around the room and lifting heavy objects while Ahmad acted slow, tired and weak in comparison. 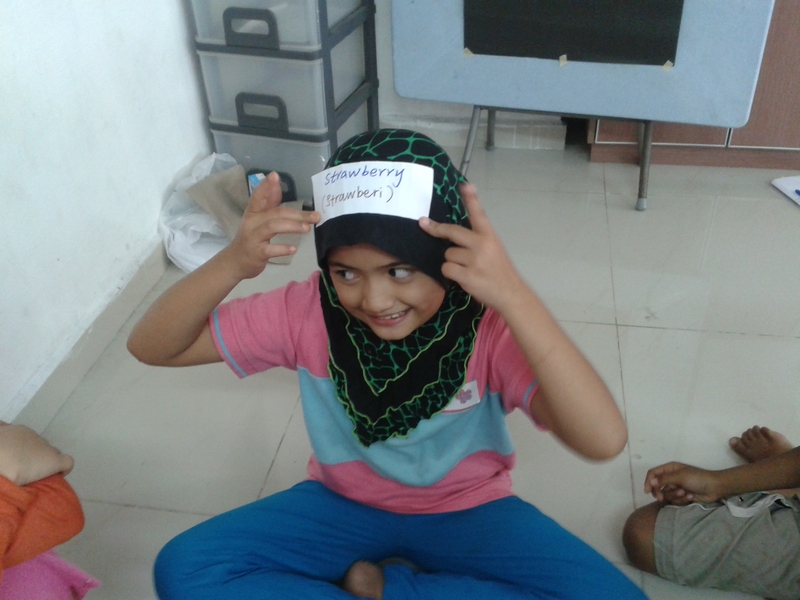 We then introduced Ninja Amy, who detests unhealthy foods and would slash unhealthy wrappers. 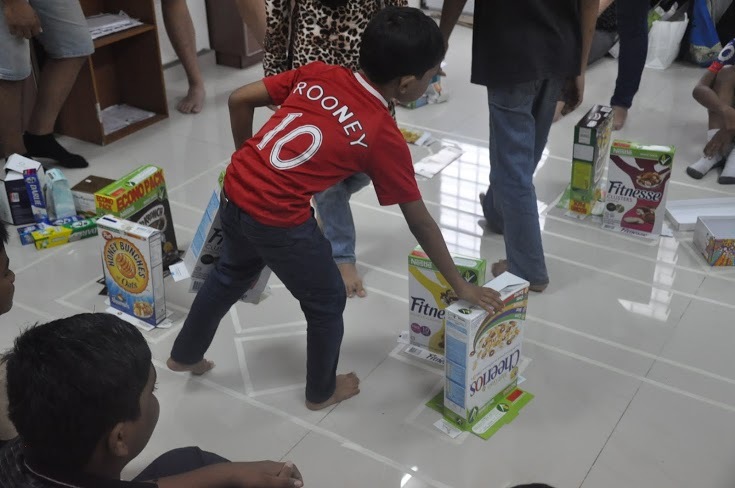 Using a board labeled ‘eat more’ and ‘eat less’ we asked the children to line up with the wrappers and await the verdict of Ninja Amy of where they could place their wrappers. We ended the day with a collage activity, getting the children to take turns in creating an ‘unhealthy monster’ which would then be decorated with using the unhealthy food wrappers. 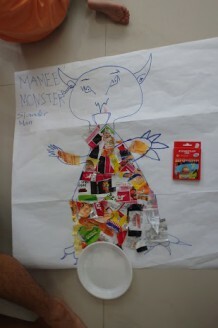 We first did a quick drawing exercise by passing around pieces of paper for children to draw on to design a monster together. The idea was to ensure children did not feel insecure in drawing and to feel free to explore as much as they wanted to. The end results were pretty spectacular and scary monsters! 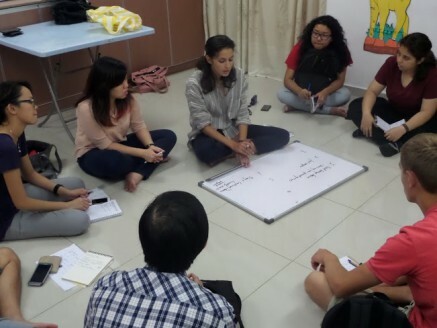 This week, Chow Kit Kita conducted a 2-day facilitator training workshop, specifically for this project and to help us deal with some of the concerns we had encountered after executing the small-scale soft-launch activities. 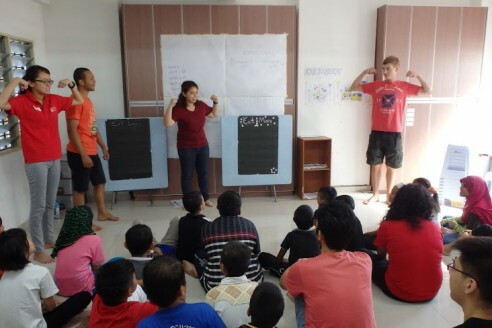 Fahmi Redza and Pik-Svonn, who both have years of experience working with different communities and who have also done numerous facilitator trainings ran an intensive and eye-opening workshop on being a facilitator and working with children. 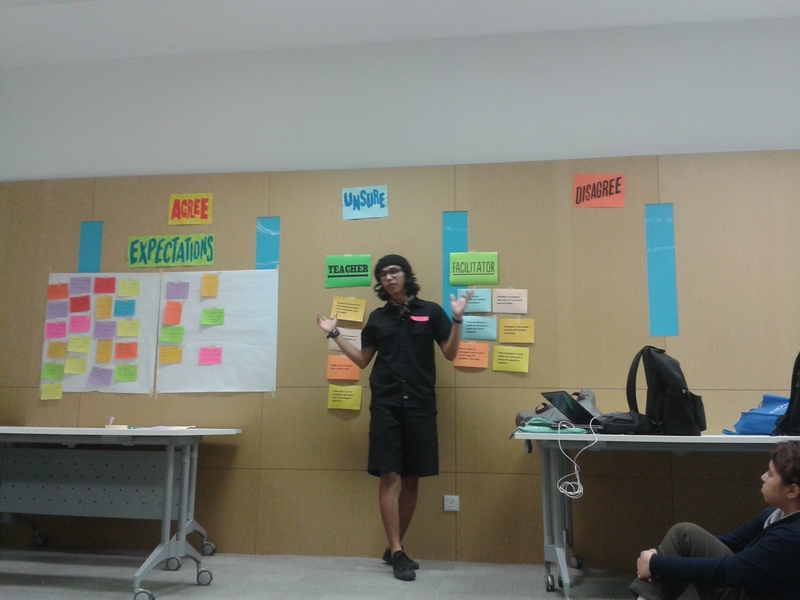 On day one, after an expectation management check, we started with the fundamental question; what the role of a facilitator is and how it defers to that of a teacher. 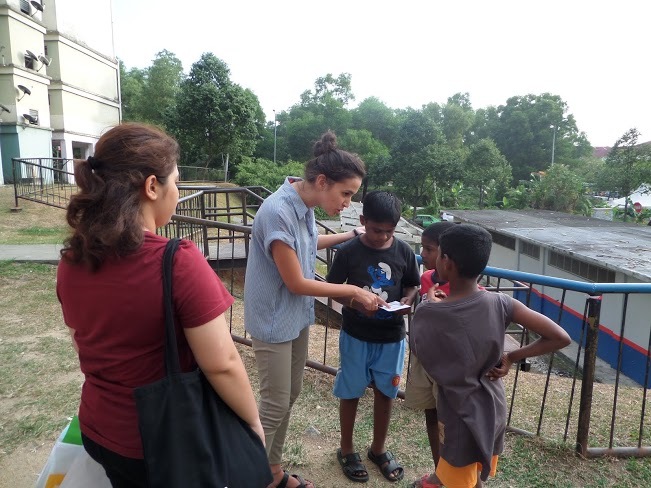 Fahmi and Pik-Svonn used a range of methods to pass on their message, such as index cards, spatial surveys, games and verbal discussions. They also gave us some useful ideas for games to play as ice breakers, energisers and focus games. The training was very hands-on. 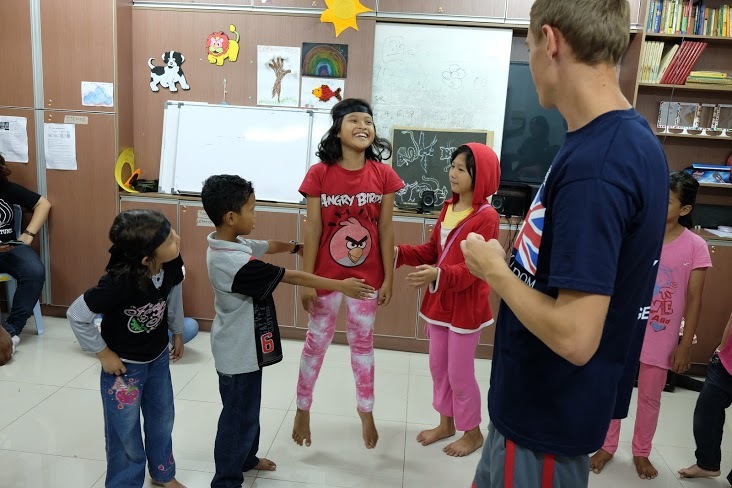 Each of us had to conduct a specific game after which we would have a discussion session to talk about what went wrong and how it could be improved. We accumulated invaluable tips after each and every game. 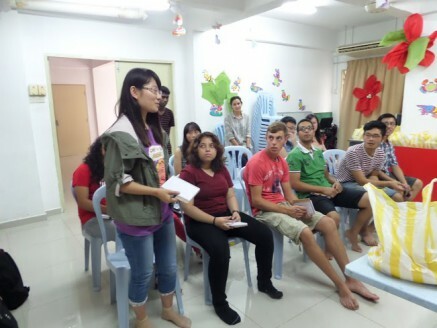 Some of us were also given a choice of topics to lead a group discussion. What we didn’t know was that in each discussion a participant was given the role to distract the group, another extremely handy skill we picked: dealing with negative participants. Day two of the workshop focused on understanding how to create fool-proof lesson plans. 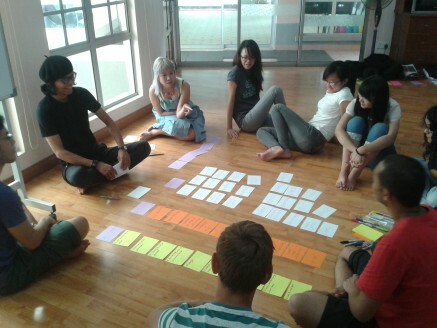 Using a card sorting method, Fahmi and Pik-Svonn did a run through of the activities we had done on the first day of the training. Through that we could see a pattern emerge: activity, method, objectives. Pik-Svonn pointed how many people make the mistake of focusing on the activity, and how crucial it is to always go back to the objectives. The interns got a chance to pilot some the actual activities they plan to do with the children. 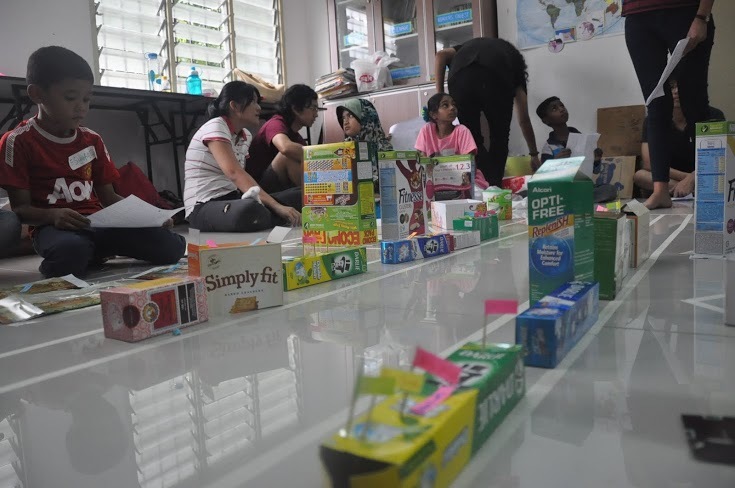 For each activity, two of the interns played the role of the facilitator while the rest of us did our best efforts to simulate being the 8-12 year old participants. After each pilot, we were given feedback and tips for improvement. We learned how important running pilots are as so many things came up which we hadn’t anticipated, it was a good opportunity for us to iron out the kinks in the activities. In terms of timing as well, there is no guarantee of knowing how long an activity will take unless we test it out. 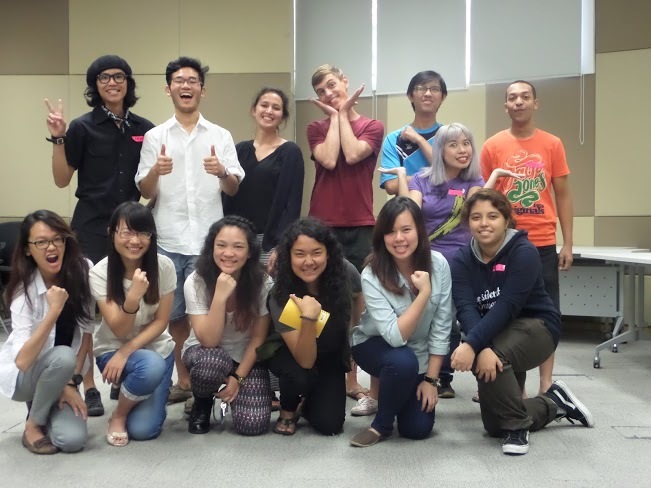 All in all we gained so much from the facilitator training and would like to thank Chow Kit Kita for their time and effort for making it such a great workshop! 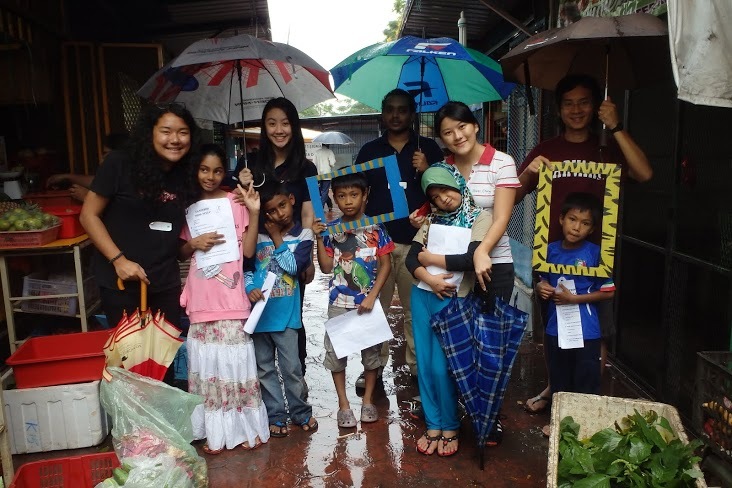 After the workshop, the Food Ninja’s made another trip to Kota Damansara to distribute flyers after school. The playgrounds were bustling with children and teenagers, some of the more cheeky ones still had some ‘bunga api’ left over from Raya. 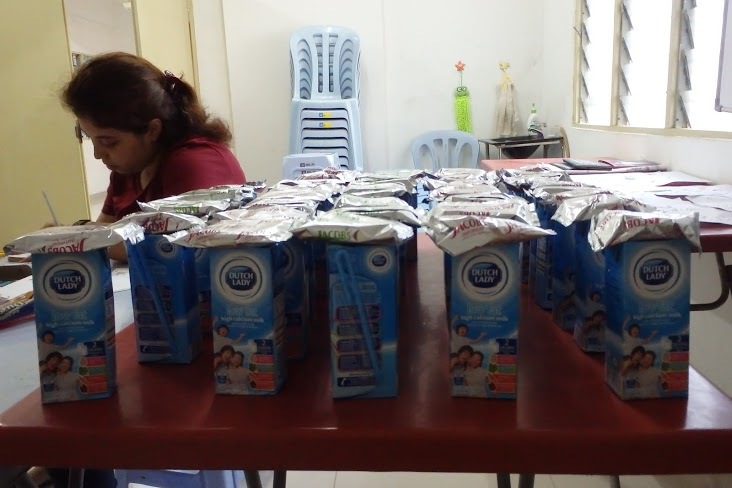 Most of them were aware of the program which indicated success of our first launch but it was good to give them more clarification and to notify those who didn’t know. And of course, we wrapped up our trip with a game of football. 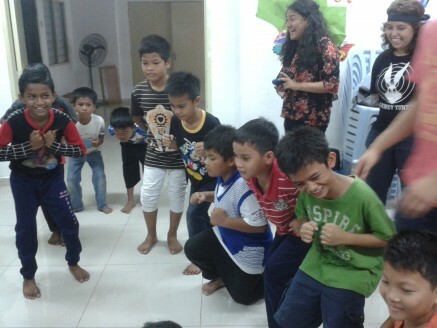 The children seem really excited and it was nice that they could already recognize us through their acknowledgments. We are now doubling our scale for the first engagement in anticipation of a much higher number than expected, but thanks to our training and preparation, I think the Food Ninja’s can handle it. Stay tuned next week for an update of our first official Food Ninja activity happening this weekend! 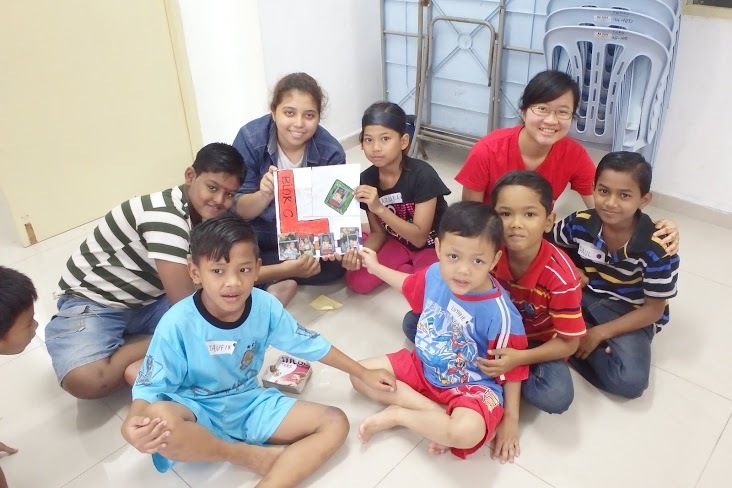 It’s been nearly three weeks since the interns arrived and we are now prepared for the first official event which is the first engagement activity with the young residents of PPR Kota Damansara happening this Saturday and Sunday. We have made a lot of progress over the last two weeks, as project manager and for the project as a whole. We are currently preparing for our first engagement activity happening this weekend at PPR Kota Damansara. So far we have done a site-visit, numerous brainstorming sessions and even a facilitator training workshop to prepare for it. 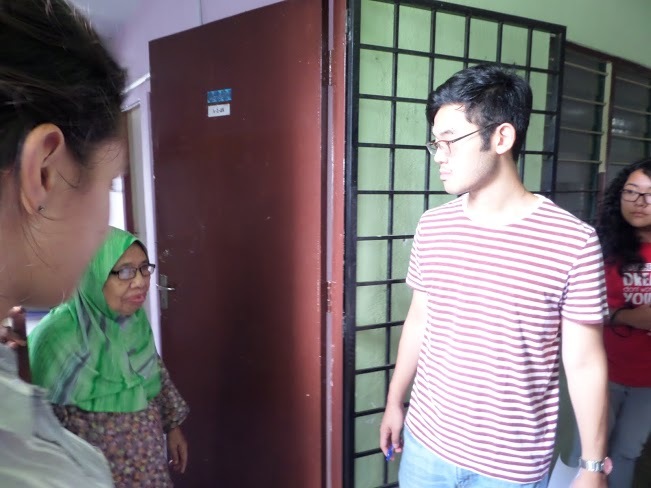 On the 26th of July, the weekend before Raya, the team and I made a site-visit of PPR Kota Damansara, the first of many for the international interns during this trip. As a local, even I was taken aback on my first visit. 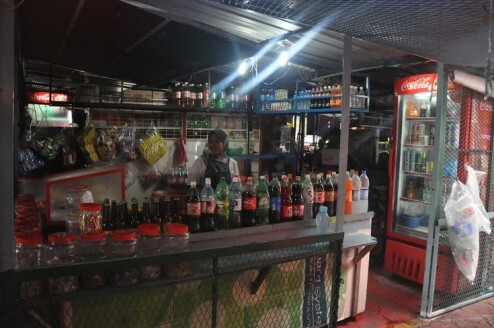 The interns dealt with the experience well, even maintaining composure during the ongoing explosions of ‘bunga api’ throughout their visit marking the closeness of the Raya celebrations. Jeffrey from Friends of Kota Damansara gave a brief presentation of the story behind his NGOs relationship to the PPR and of the ongoing efforts a collection of NGOs has been doing over the years. He shared some nice stories and some very real and harrowing stories that inevitably paint the full picture of the PPR and the living conditions of the residents. 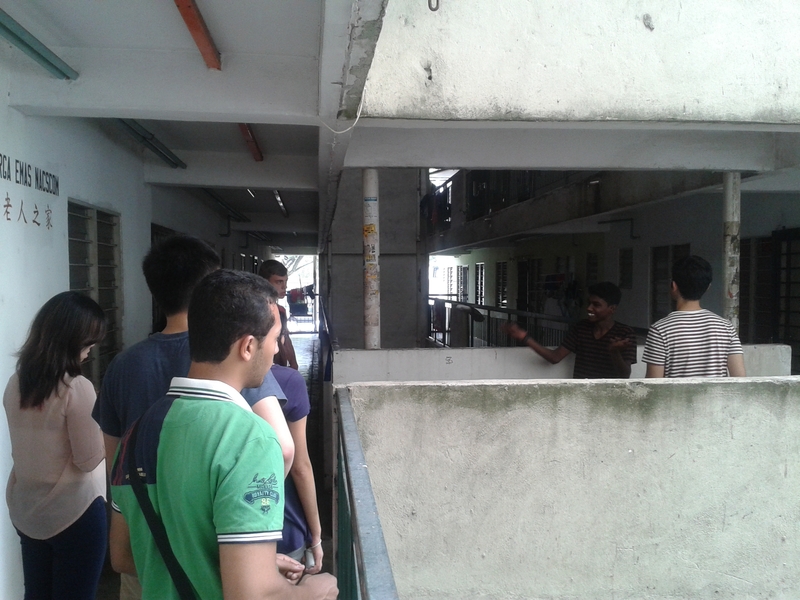 We were also given a tour by Ganesan, a young resident who will be helping us with logistics throughout the project. 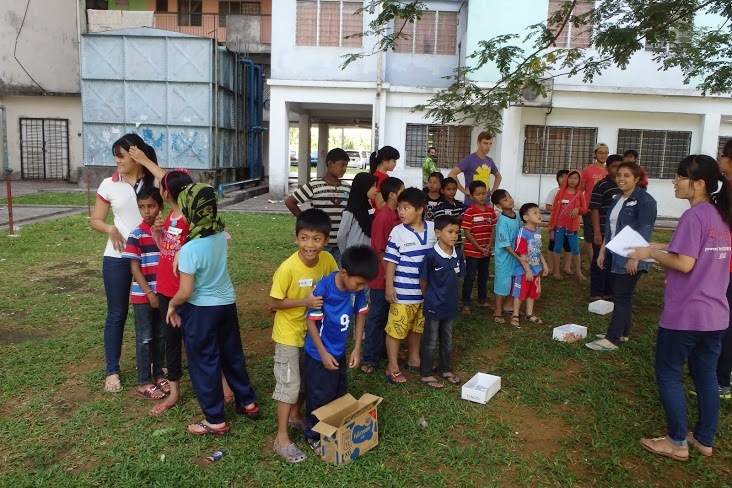 As it was a few days before Raya Jeffrey had some ‘kuih raya’ to distribute to some of the residents, on numerous accounts we were invited into their humble homes. 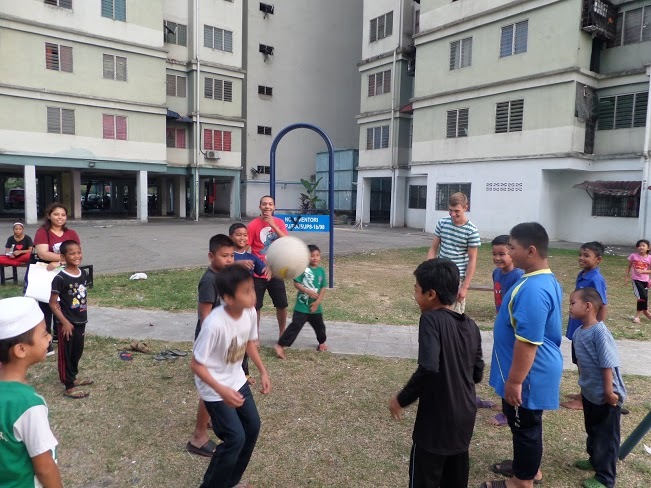 After visiting the PPR and meeting some of the young residents we would be working with, the team had a better idea of how to refine the activities and to make it more suitable for our target audience. In the brainstorming sessions we focused on creating a group identity related to the theme of the activities which focuses on a healthy food and lifestyle. We came up with the name ‘Food Ninja’ to identify the program with a banana ninja mascot to accompany it. 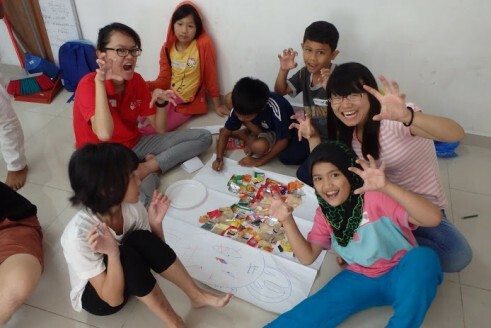 As we hope to educate and engage with the children in an informal manner, it’s important to note from the very beginning of the project that we do not intend to create a ‘classroom setting’, but instead a fun and safe environment to play, learn and convey a positive message. On Sunday, the 3rd of August, we did a soft-launch with the young residents of the PPR. Our aim was to distribute and post up fliers and posters of the project to notify as many potential participants as possible. 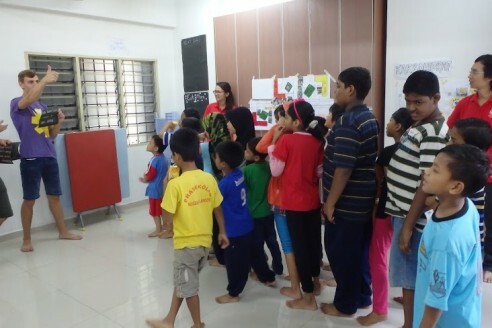 We also conducted some activities with the children, in the morning we had a banner painting session and some games after lunch. 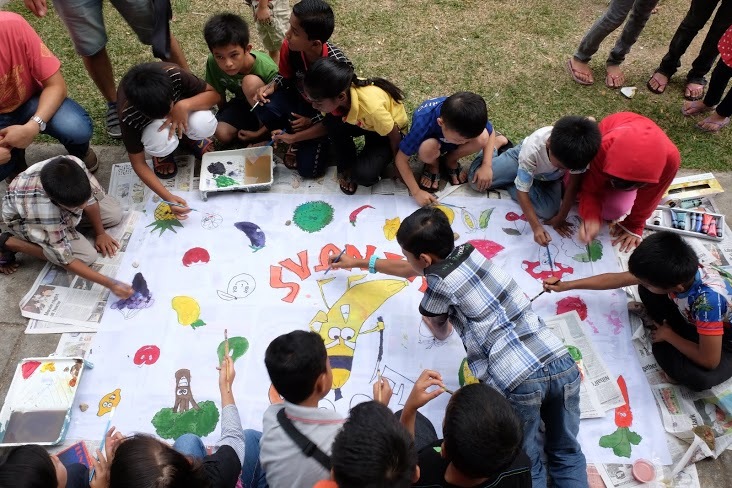 The interns designed the Food Ninja banner to be painted on beforehand to be used throughout the project as our official banner. 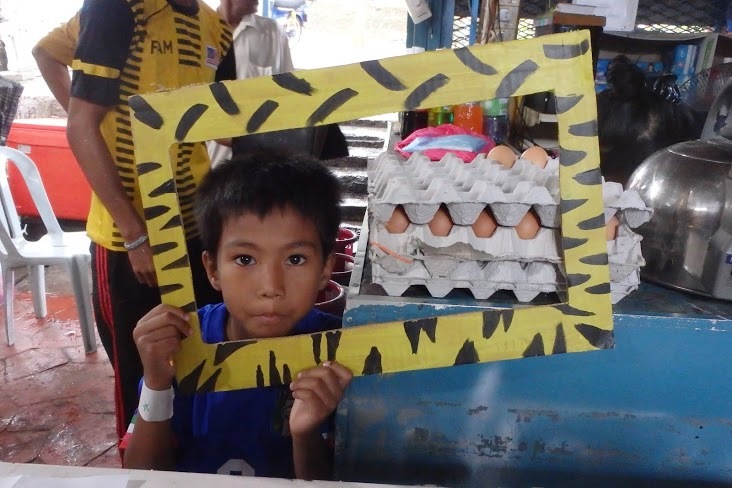 Initially we just wanted to get the children interested in our project, but we ended up learning so much from doing this soft-launch. We experienced some kiddy tensions and experienced some group dynamics, relating to gender and race, things we would not have anticipated until we had experienced it first hand. 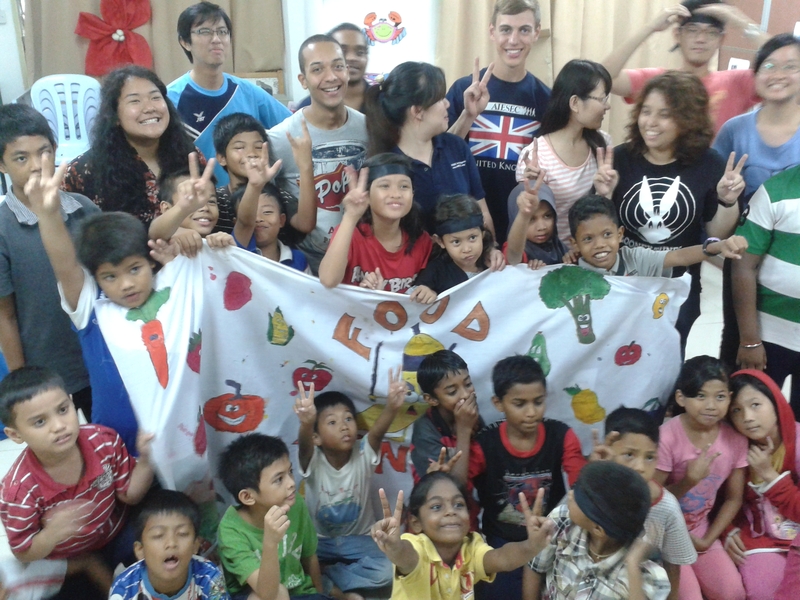 These are some of the things we have taken into account in carrying out the Food Ninja project. 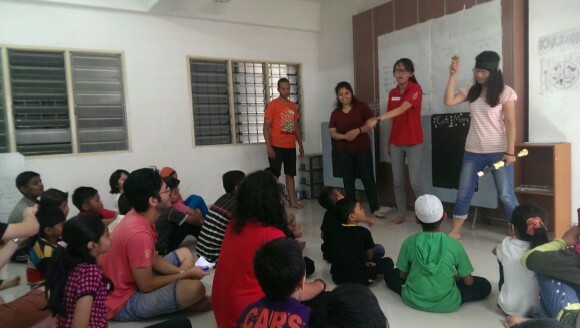 We also realised how important having a thorough lesson plan is, especially with a big group of facilitators and in managing time.